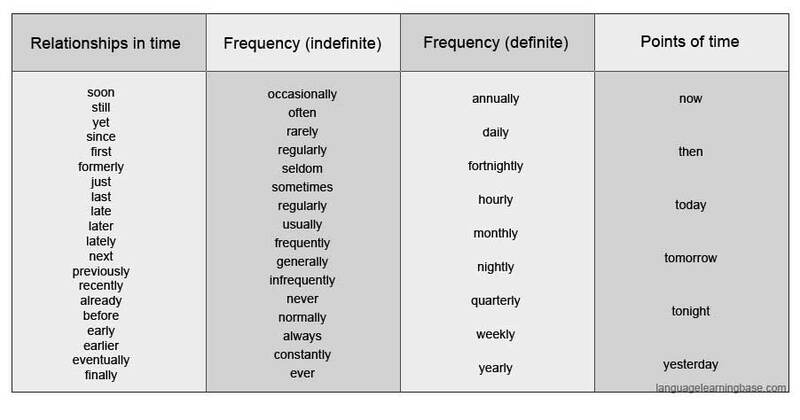 Adverbs are words that tell you more about verbs, adjectives and other adverbs. Adverbs often tell when, where, why, or under what conditions something happens or happened. It's starting to get dark now. She often goes by herself. I am going to my new job tomorrow. She is still waiting for you. It is very useful but more examples please.